What was lost from the 1810 Census? 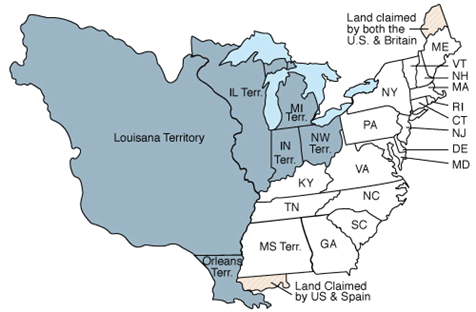 Census records lost for District of Columbia, Georgia, New jersey, Tennessee, Indiana Territory, Michigan Territory, Mississippi Territory and Louisiana Territory. Other records, such as Randolph records, make up for some lost counties. In 1810, New York became the largest urban area with a population of 96,373 leaving Philadelphia in second place. It took $178,000, approximately 1,100 enumerators and 469 published reports to complete the 1810 census. The US population increased by 36.4 percent from the 1800 census to the 1810 census. November 6, 1811: American troops defeated the American Indian chief Tecumseh at the Battle of Tippecanoe. February 2, 1812: The strongest recorded earthquake in American history (8.3 magnitude) strikes in Missouri temporarily reversing the course of the Mississippi river. August 24, 1814: British soldiers burn the White House and other government buildings. April 4, 1818: Congress officially adopts the thirteen stars and stripes design for the US flag.